If you are an avid Spotify user and you are toting a Windows Phone device in your pocket, then you are probably slightly envious of iOS and Android users, who treat themselves to the overhauled versions of the popular music streaming service on their beloved devices. Not long ago, Spotify for both of these platforms received several new features, as well as a renovated, much darker user interface. So, it was more than natural that the Windows Phone iteration of Spotify would follow soon, and it did, indeed! Although the newest iOS and Android perks of Spotify have not made their way to its WP version, the overhauled interface and looks arrived thanks to a recent update. The latest version of Spotify for Microsoft's OS comes with several new features, which have been around on its iOS and Android counterparts for quite some time now – Browse and Discover. The former allows you to choose among various playlists, whereas the latter uses sophisticated algorithms in order to provide you with music that might suit your taste. The Radio feature is now also on board – thanks to it, Windows Phone fans of Spotify can create their own radio stations and browse among the ones, created by other audiophiles. The design department of Spotify for Windows Phone has also seen some changes - the user interface has been completely revamped and “streamlined”. It also received the dark-color treatment and now comes with visuals that are pretty similar to the ones of its Android and iOS peers. very uncomfortable UI with menu button on the left upper corner, no playlist to start with so u need to dig to them plus this design totally contradicting windows language. Hey I love mine too! well i don't have 1520 :( but i love my 920 (except its fu**in battery life :D) seriously WP is getting better and better. 90% of good apps are available on WP and there are good alternatives for the missing 10%. Best device I've ever had because its arguably the best you can get! I love the update, especially using Spotify all the time. 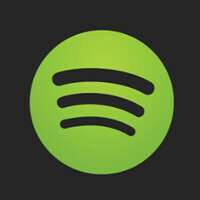 Spotify 3.0 is EXCELLENT, loads great, scrolls greater, no resuming and pauses, skips anymore.